Search engine optimization is now a massive industry that governs the behaviors and strategies of most internet-based businesses. With search engine traffic still one of the most popular ways to drive traffic to your website, you need to be in good standing with sites like Google and Bing. SEO is in essence a complex series of algorithms that determine which sites are higher quality and which are not – which affects how well you rank in search results. If you’re new to the SEO game, then there’s a lot to learn. Today, we’ll start with some basic terms that anybody running a website should be familiar with. What are keywords? In simple terms, keywords are words and phrases that search engines analyze from your content to determine what your site is about. While the use of keywords in SEO has become much more complex over the year, it is still an integral part of the process. In years past, anybody with a bit of knowledge about how keywords worked could quickly ascend the ranks of search results and be visible. Today, it’s a bit more difficult. Many brands are turning to what are called “long tail keywords”, which involve pinging search engines with longer phrases that are sprinkled throughout your content. This behavior is motivated both by increased competition in shorter phrases in search results and a trend in people searching via longer queries, questions and sentences. Simply put, rankings involve what position your website or page appears in a given set of search results. Through the use of keywords and content, you’ll target specific search results in order to be seen. If your content is perceived as being good by search engines and your broader SEO efforts are solid, your website’s rankings in select results will begin to rise – with the ultimate goal being to appear as the #1 result in a search result. For most search engines, the term “SERP” is commonplace in SEO. 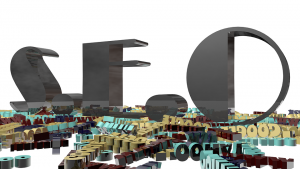 The abbreviation stands for “search engine results page”, and simply refers to what is seen when a particular set of keywords or queries are searched for. It is on each SERP that you are striving to increase your rankings and feature more prominently in search. Two terms you’ll often hear in relation to Google and SEO, Panda and Penguin are two separate sets of algorithms designed to determine how each particular website should (or shouldn’t) be ranked. To simplify things, Panda is the primary set of algorithms used to assess overall content quality; it’ll look for weak, thin or duplicate forms of content on your website and penalize you if applicable. Penguin is the primary algorithm for assessing link quality; if you have broken, bad or spammy links on your website, Penguin may penalize you for those links until they are corrected. SEO is a long-term process that involves pinging search engines with quality content, solid links, authoritative responses and technical optimization of your website. There is much to learn about SEO but these elements are among the most common ones that relate to the subject. What other questions do you have about SEO? Let us know in the comments below! Solution one page to search in to google & yahoo How?